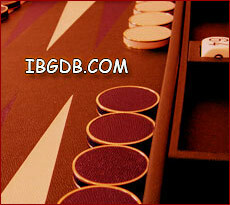 How I Started in Backgammon: Someone in a bar was looking for a game. Backgammon books I have written: Can a Fish Taste Twice as Good? - co-authored with Walter Trice. Favorite Food: Pizza (either the Reggio's special for thin crust, or Lou Malnatis' cheese and sausage for deep-dish); Penang kai (if they make it spicy enough); doeji kimchi bokkum (don't worry, they always make it spicy! ); saganaki during the first thirty seconds after it's flamed. 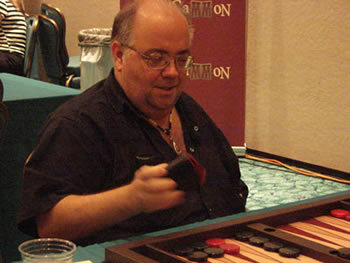 If I could change anything in the Backgammon world, I would... Redirect the poker players' interest back where it belongs! Additional comments: I reserve the right to change my mind about any of the opinions expressed above.